Looking for feature-rich WordPress gallery plugins for your WordPress website? Here are some of the best plugins for galleries you can use to add some extra functionalities to your site. These WordPress gallery plugins are easy to use, easy to set up and most importantly, highly customizable and work with various file formats. Use them to showcase your work in style for your online portfolio, create user-generated content, display posts on your blog, create gorgeous Instagram galleries on your site, and more. Check out their features below! Gridzy is an image gallery plugin that arranges your images in a beautiful grid that looks perfect on mobile devices as well. The image gallery grid is fully responsive and adapts to any screen size of any device. This is a great add-on for the popular Visual Composer, now WPBakery page builder plugin. Use it to create light, fast-loading image galleries. This is a premium photo set plugin that will help you add a Tumblr image gallery that displays in a responsive grid/masonry gallery. Use it via shortcode on both pages and posts. This is a premium gallery module for the Gmedia plugin. It is responsive and mobile-friendly, accepts deep links and even has the ability to show Youtube and Vimeo videos in lightbox. You can also use it to embed a Google map in a lightbox. It works on all major browsers and the photos contain the EXIF information. Moreover, it offers an easy sorting system, geolocation for photos, various settings and an optimized preloading process. This is a simple and clean album plugin that you can use to add images to your albums directly from your WordPress Media Manager. You can also add the captions you want and edit via the drag and drop interface. Portfolio Minimal Shortcode is a cool premium add-on for Visual Composer(WP Bakery). It is perfect for portfolio projects, creating galleries of your work, all with a simple grid layout an a cool hover effect style. Maika is an advanced gallery plugin that is completely compatible with Visual Composer and WPML. You can fully customize it, change all colors, modify the font sizes, image size, spacing and everything else. 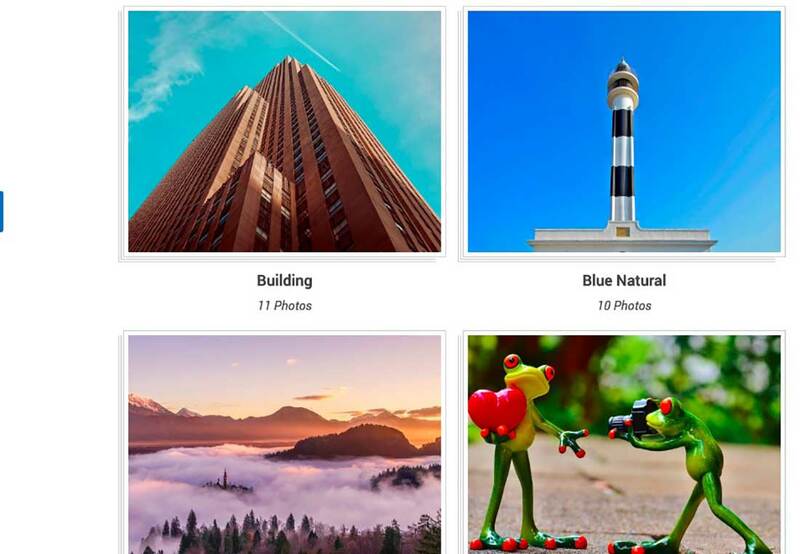 Create beautiful galleries for photo albums with categories, tags and more. This plugin is optimized for any widget area and it is responsive and mobile friendly. It was built with AJAX and offers the ability to play audio files. Use it to share a collection or individual photo via the easy to use interface. This is a great plugin for creating mega portfolios. it is a filterable portfolio gallery plugin you can use to showcase your work. Comes with 200 layouts/variations to choose from. Also, you can use the pre-made galleries for different niches, such as medical, food, gym, fitness, books, fashion, and more. Portfolio X is an ISOTOPE based grid system gallery plugin with 16 unique templates to choose from. 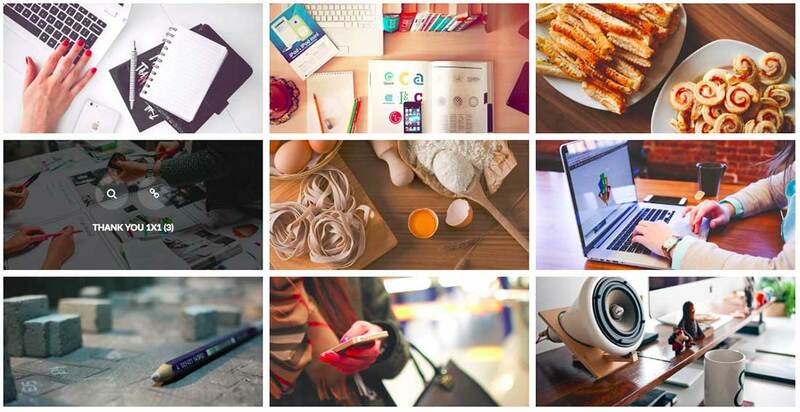 Use this premium plugin to create gorgeous galleries. The WPK External Images Gallery plugin lets you easily create image galleries by using remotely stored images. This plugin can be perfectly integrated with any WordPress site and works for multi-site installations as well. This great gallery plugin comes with an adaptive design, making sure your image galleries look perfectly on both PC and mobile devices. It offers easy management for galleries and even statistics of views and likes for each gallery and for each image. You can add groups or individual images to a gallery and edit them with ease. 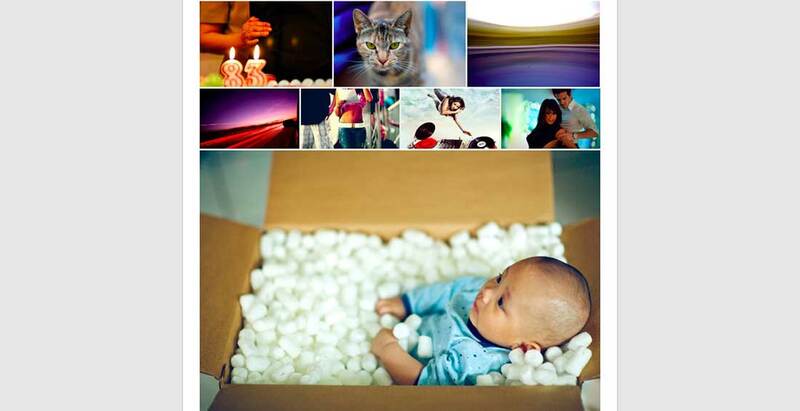 This is a responsive WordPress gallery plugin you can use to create dynamic images grids with lightboxes. It has CSS3 animations and supports YouTube and Vimeo videos. Use it with the help of shortcodes and insert it on any post or page. The galleries are responsive and touch-friendly. FAT Portfolio is an advanced portfolio plugin you can use to create image galleries that are compatible with Visual Composer and WPML. Fully customize it, from colors to fonts, image sizes and more. inGallery is a great plugin to use if you want to display Instagram media on your website. Create highly customizable galleries that are also user-friendly and flexible. The Grid is a premium WordPress grid plugin which allows you to show any custom post types or media in a responsive grid system. Use it for blogs, portfolios, e-commerce or any kind of WordPress post types. 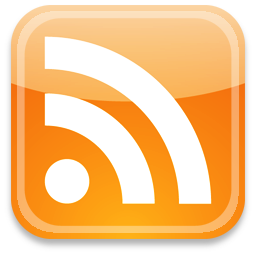 Supports the following post formats: standard, video, audio, gallery, link, quote. Unite Gallery is a gallery plugin for WordPress that plays both images and video! Use it to create fully responsive and mobile friendly galleries for your WordPress website. Grid Accordion is a fully responsive and touch-enabled WordPress plugin. It combines functionalities of the accordion element, but with a more engaging design. You can use this gallery plugin with different column or row layouts and showcase your work in style. It supports YouTube, Vimeo and DailyMotion as well as self-hosted video/audio files.